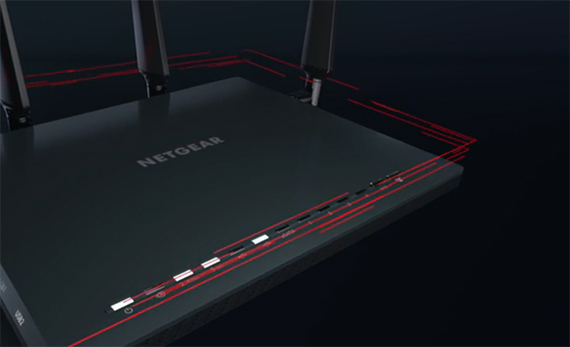 The American networking company, Netgear Inc, isn’t one of the oldest manufacturers around, but during its two decades of existence had a lot of time to mature and deliver both consumer and enterprise-level products (including Ethernet switches, wireless routers, dual-WAN VPN routers, powerline adapters and more). 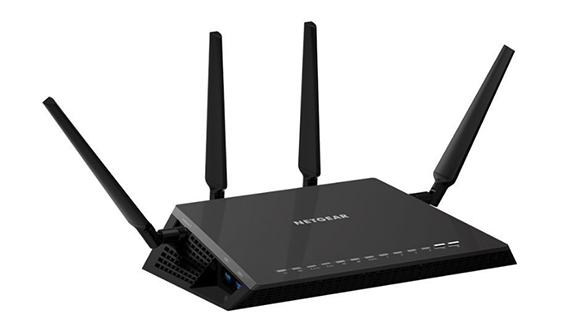 Of course, Netgear is mostly known for its iconic R7000 router, which is part of the Nighthawk series and, as expected, the next iterations have vastly improved with every new device (up to the Nighthawk X10, an AD7200 device). 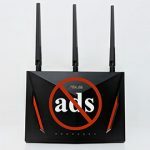 Not long ago, Netgear released the Nighthawk X4S R7800, which is an updated, better equipped version of the Netgear Nighthawk X4 (that I reviewed not long ago) and, besides having an overall better wireless performance than its predecessor, it also comes with the MU-MIMO technology, working out of the box (the X4 had to wait a while before being able to use it) and it supports the 160 MHz channel bandwidth (something of a novelty feature in the WiFi world), all these making the X4S a future-proof device. Of course, there are some shortcomings (the interface is still plagued by the same issues as the previous versions), but it does come at a very good price, so let’s see how it performs. 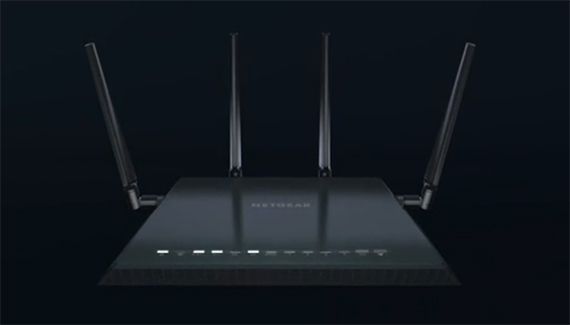 The NETGEAR Nighthawk X4S kept the same case as the X4, favouring the sharp lines of the Lockheed F-117 Nighthawk stealth plane inspired design that we first got with the Nighthawk R7000, instead of going for a different external appearance (I see this as a more successful design formula than what Netgear did with the mothership-like Nighthawk X6). This means that the X4S features an angular plastic exterior, with two antennas pointing from the back and two from either side of the case and everything is covered by the same black matte finish (that does not retain fingerprints). Similarly to the X4, the four antennas need to be attached in a specific order, matching the 1 to 4 labels on the router, to avoid having the them facing the wrong way (as expected, the four antennas are upgradeable, feel sturdy and solid). It’s nice to see that NETGEAR understood the importance of a good ventilation and took a serious approach to maintain a proper temperature (especially since it lacks any internal fan and relies on the passive cooling system). This means that there are lots of vent holes all around the case, including the front, back, lateral sides and especially the bottom, where there is a huge number of small and larger cut-outs that facilitate a good heat dissipation. Of course, that is possible because of the four bulky feet, which also play an important role into maintaining a good stability when there are lots of cables connected. 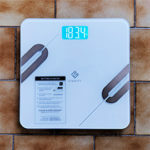 At the same time, the router’s footprint is really large (it measures 11.2 x 7.2 x 1.9 inches) and the device itself is heavy enough to keep it from budging (it weighs 1.85 lbs). 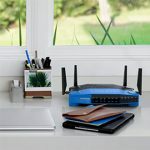 The size of the router can become an inconvenience, especially if you value every inch of your desk (this usually happens in offices), but you do get the option to mount the device on the wall, using the two mount holes from the bottom. If you can leave the X4S into your living room, you’ll appreciate that even though it’s big, it will nicely fit in with the furniture (especially the modern-type), but, it will undoubtedly attract a lot of attention onto itself. 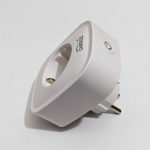 On the top, towards the front edge, you can find a series of LED lights (just like on the X4), which show the status of the Power (if the LED is blinking an amber colour, you either pressed the Reset button or the firmware is upgrading, otherwise, if the Led is blinking a white colour, then the firmware is corrupted), Internet, the 2.4Ghz WiFi and the 5GHz WiFi (if either LEDs is blinking, it means that the router is receiving/sending data packages via WiFi), USB 3.0 port 1, USB 3.0 port 2, eSata port, the four LAN Ethernet ports (if either LED is blinking, then the specific port is sending or receiving traffic) and the last two LEDs are actually a couple of masquerading buttons for turning the WiFi On/Off and to initiate the WPS pairing (it allows you to join the network without typing the WiFi password). 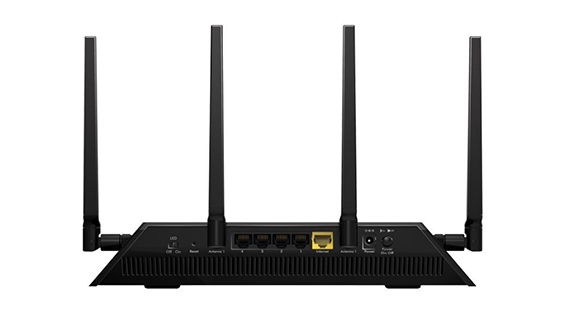 The rear side of the Nighthawk X4S is home to the LED On/Off switch (a great addition if you don’t want to have the LED blinking in your face while you’re sleeping), a recessed Reset button (it returns the device to factory default settings), the four 10/100/1000 Ethernet Gigabit LAN ports, a 10/100/1000 Ethernet Gigabit Internet port, a Power connector and the Power On/Off button. On the left side of the case, inside a recessed zone, there are two USB 3.0 ports and symmetrically, on the right side, there is an eSata port (a welcoming addition which I only found on the Linksys WRT1900ACS, so far). As always, I dislike the fact that Netgear didn’t put these ports on the back side, since I do not like having lots of cables sprouting from all around the case. Note: Inside the package, you can find the Netgear Nighthawk X4S R7800 router unit, the power adapter and an Ethernet cable. Inside the case, the NETGEAR Nighthawk X4S R7800 is equipped with a dual-core Qualcomm Atheros IPQ8065 CPU (clocked at 1.7GHz), 128 MB of storage memory and 512 MB of RAM (a step up from the dual-core 1.4 GHz Qualcomm IPQ8064 and the 256 MB of RAM of the NETGEAR Nighthawk X4 v2). 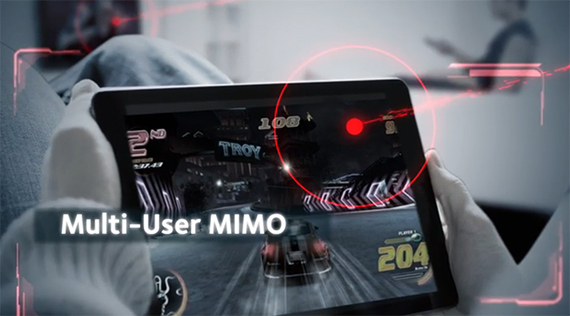 Furthermore, the 2.4Ghz wireless performance is being delivered by a Qualcomm Atheros QCA9984 4×4:4 chipset, along with a Skyworks SE2623L power amplifier and the 5GHz wireless performance is also being delivered by a Qualcomm Atheros QCA9984 4×4:4 chipset, along with a RFMD RFPA5542 power amplifier. The X4S R7800 features a maximum theoretical speed of 800 Mbps using the 2.4Ghz radio band (this is possible thanks to the 256 QAM support) and a maximum theoretical speed of 1733 Mbps using the 5GHz radio band and the 802.11ac standard (it sums up to 2,533 Mbps and it rounds to the advertised AC2600). 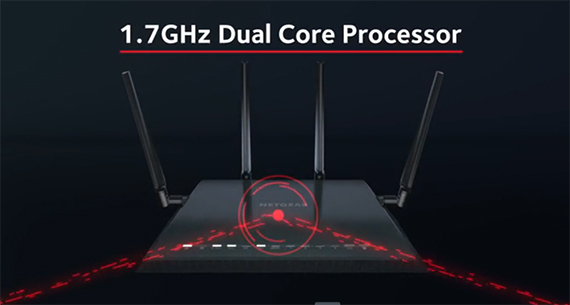 Since this router is an improved version of the Nighthawk X4, it was expected that it would go on the MU-MIMO technology route, instead of adopting the tri-band approach. 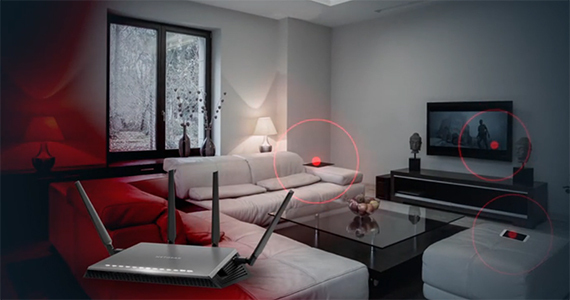 An XStream tri-band router is able to handle a huge amount of clients on both the 2.4GHz and the 5GHz radio spectrum and it has the advantage of featuring an extra 5GHz network to handle a larger number of connection than usual (the ASUS RT-AC3200 is one of these routers). 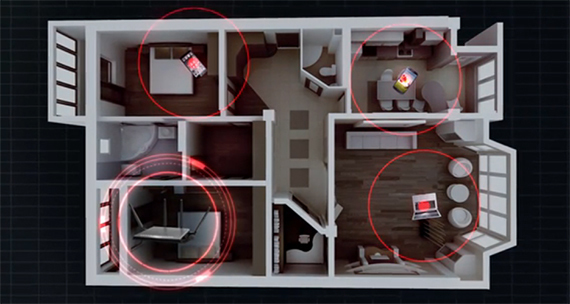 The MU-MIMO technology is a bit different, because it doesn’t necessarily specialize into connecting and handling as many devices as possible, but to simultaneously serve more than one device. 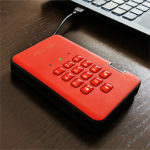 This is a great improvement over the generic round-robin technique, where devices were served one at a time, the only downside is that there still aren’t enough clients with compatible wireless adapters (still, this level of performance would attract the attention of competitive gamers, so it’s not a coincidence that the X4S is marketed as a gaming router). 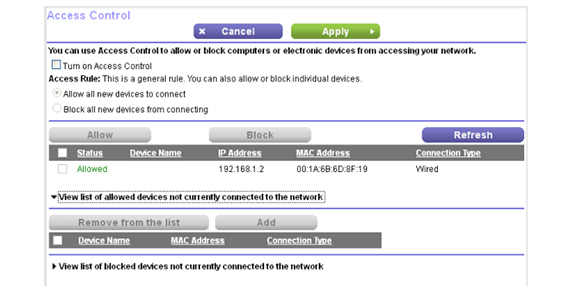 But that’s not all, as there are many more interesting features implemented inside this router. 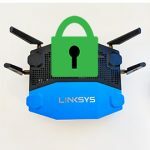 The most head-turning feature is the support for the 160 MHz bandwidth mode, which in reality, is implemented as 80 MHz + 80 MHz (the X4S does not really support a contiguous 160 MHz bandwidth and the only router that does support it on the 5GHz band, at this moment, is the Linksys WRT3200ACM). While a single 160MHz will just be a significantly wider channel, the 80 + 80 MHz approach uses two different channels bonded together, which transmit and receive data, simultaneously. The way the 160 MHz mode works is that it can notably increase the maximum link rate (since you get increased capacity, due to a wider channel), but, as with many other newer technologies, it suffers from a lack of compatible devices. I understand why Netgear went for the 80+80 MHz technique instead of a single 160 MHz channel, since the former has a higher chance to be used more often. 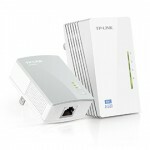 The last feature that I would like to mention is the Beamforming+ technology, which focuses the signal only towards your connected wireless clients, so you get a better coverage and less interferences (of course, you need devices with compatible wireless cards, but, these are becoming more and more common). 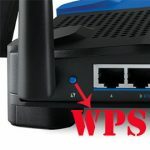 In order to test the wireless performance of the NETGEAR Nighthawk X4S, first, I took two computers with wireless adapters and measured the speed at different locations inside a relatively large home. So, using the 5GHz radio (40 MHz channel, 802.11ac standard), at no more than 5 feet, I managed to measure an average of 515 Mbps (with a peak of 526 Mbps). Afterwards, I increased the distance to 15 feet, which meant a slight speed decrease to 477 Mbps and at 100 feet, I measured an average of 225 Mbps. Next, I switched to the 2.4GHz radio (20 MHz channel) and, at close range (about 5 feet), I measured an average speed of 150 Mbps (it peaked at 157 Mbps), while at 15 feet, the speed decreased to 138 Mbps. Lastly, at 100 feet, I measured an average of 108 Mbps. 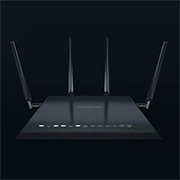 Because the Nighthawk X4S is a 4×4 router, it would be a shame not to test its potential using a 4×4 client. The problem is that I could not find a 4×4 client so I simply used another 4×4 router in bridge mode to test the wireless performance of the 5Ghz radio band. That being said, at close range (around 5 feet), I measured an average of 944 Mbps (with a maximum of 961 Mbps) and at a longer range (no more than 100 feet), the speed decreased to 332 Mbps. 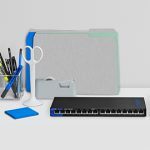 Furthermore, similarly to the X4, the X4S allows you to connect three external storage devices at the same time, so let’s see the storage performance of this router. To test the read/write performance, I took a 2GB folder (containing miscellaneous files) and I was able to measure 53.7 MBps for writing the folder and 88.1 MBps for reading it. These is a very good storage performance, surprisingly close to the fantastic speeds of the Linksys WRT1900ACS. 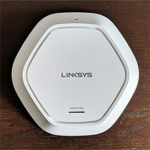 The X4S comes with a pre-configured WiFi network (SSID and password info can be found on the label from the bottom side of the router), so you could just plug the device into a power outlet, connect it to an Internet source and you’re good to go. But, if you want to configure the router, you have to open a web browser and go to https://www.routerlogin.net to start the Setup Wizard, which will automatically detect the connection type (of course, you can configure the connection manually, by going to Basic > Internet). After that, you can further change the settings using the Genie interface. The UI has undergone some transformations during the years, but there is still a lot of work to be done to rise up to the current standards. Besides that, you get two main tabs, Basic and Advanced, each with its own set of options. 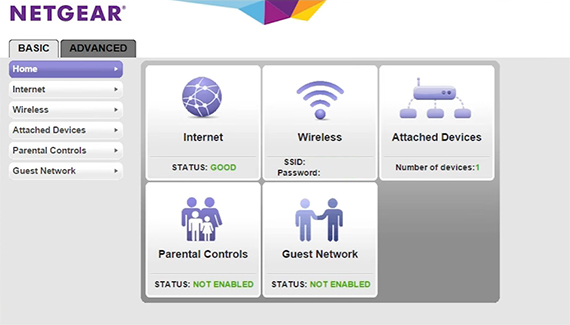 The Basic tab includes the following sections: Home (shows the status of the Internet, Wireless, Attached Devices, Parental Controls, ReadySHARE and Guest Network, each of these options acting as a hyperlink towards the specific section), Internet (allows you to setup the Internet connection – Account and Domain name, IP address, DNS and MAC addresses), Wireless (allows you to configure each of the two networks, 2.4GHz and 5GHz – SSID, channel, security options), Attached Devices (shows the Total Bandwidth and a graphic representation of every connected devices, wireless or wired), Quality of Service (you can use the Dynamic QoS, which automatically prioritizes your traffic or return to the Attached Devices, select any device and manually choose the priority – it can be Low, Medium, High or Highest – for people who are used with a straight-forward QoS, the way the X4S operates can be a bit confusing), Parental Controls (requires a free OpenDNS account to enable the Live Parental Controls and if you want to configure which devices can connect and which are blocked, you have to go to the Advanced tab > Security > Access Control, in order to create access rules, otherwise, if you want to block certain sites, you need to go to Advances > Security > Block Sites – again, it’s not really straight-forward and users need to navigate a lot to reach the proper options), ReadySHARE (Basic, ReadyCLOUD, ReadySHARE Printer or ReadySHARE Vault) and Guest Network (allows you to create 2.4GHz or 5GHz guest networks, each with its own security options and SSID). 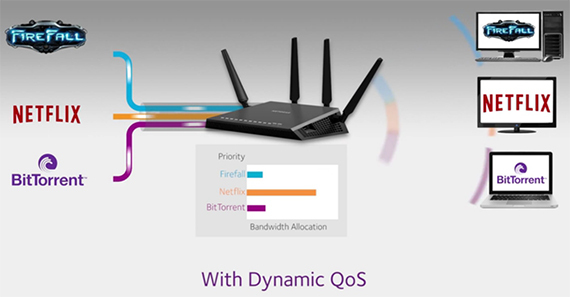 The Advanced tab features the following sections: ADVANCED Home (like the name suggests, it’s a more detailed Home section), Setup Wizard, WPS Wizard, Setup (here you can setup the Internet, Wireless connection, Guest Network, WAN (DMZ Server, MTU Size, NAT Filtering), LAN (LAN TCP/IP Setup and Use Router as DHCP Server), QoS and the Device Name), ReadySHARE, Security (Parental Controls, Access Control, Block Sites, Block Services, Schedule and E-mail), NETGEAR Downloader (allows you to download any files from the Internet, directly into a connected USB driver), Administration (shows the Router Status, Logs, Attached Devices, configure the Backup Settings, Set Password and perform a Firmware Update) and Advanced Setup (Wireless Settings, Router/AP/Bridge Mode, Port Forwarding/Port Triggering, Dynamic DNS, VPN Service, Static Routes, Remote Management, USB Settings, UPnP, IPv6, Traffic Meter, VLAN/ Bridge Settings and LED Control Settings). The Netgear Genie is, as always, a mixed bag, because even though all the expected options are there, the interface sometimes feels like a maze (and it’s not as fast as other router interfaces out there). 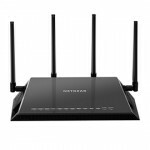 Note: The Netgear Nighthawk X4S supports the DD-WRT custom firmware, as well as OpenWRT (Tomato works only with Broadcom-based routers). 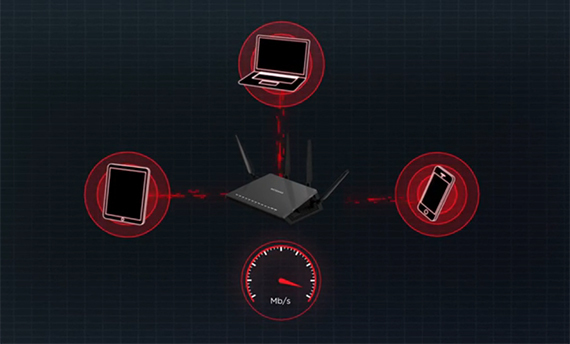 Since the first and second version of the Nighthawk X4, the new X4S feels miles ahead of its predecessors, having a stellar wireless performance, one of the best storage performances, the MU-MIMO technology, support for the 160 MHz bandwidth mode and even though, the interface can be considered a weakness, there is support for custom firmwares to make up for it.